Stripes are a massive fashion trend right now and we are loving this t-shirt! Featuring a black striped fabric with gold button detailing, this is the perfect pick. Style with white trainers and jeans for a fresh look! Stripes are a massive fashion trend right now and we are loving this t-shirt! Featuring a black striped fabric with gold button detailing, this is the perfect pick. Style with white trainers and jeans for a fresh look! Deze it-shirt heeft korte mouwen, een ronde hals, 'Bonjour' in zwarte letters op de voorkant en komt in een witte kleur. 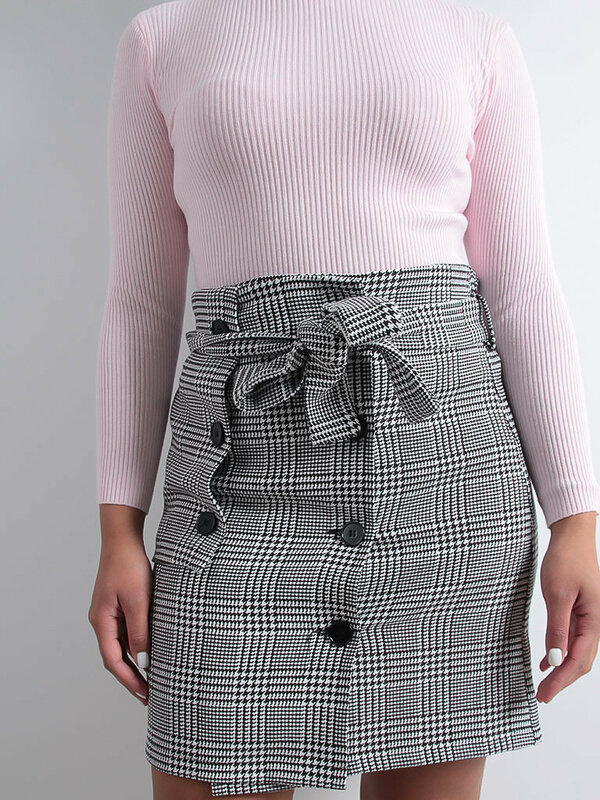 Style deze beauty met een pleated skirt, je favoriete accessoires en boots voor sporty chic vibes! Channel some serious sporty vibes with this oversized tee. Featuring a white fabric with a contrasting tiger print on the front, we are obsessed. Style with some high waist bottoms and heeled boots to complete the look! 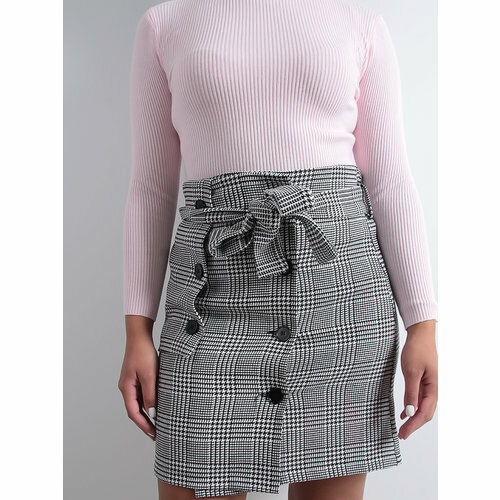 Nail the gingham trend with this black and white skirt. Featuring a button front design and tie waist detailing, style with a slogan T-shirt and strappy heels for a date night worthy look.